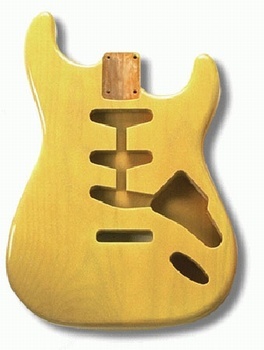 Replacement Body for Stratocaster, Alder, Tremolo Routing, W/See-Through Blonde Finish. Stratocaster is a registered trademark of Fender Musical Instruments Corp. Please note that no two bodies are identical in grain appearance or weight. Due to the unique nature of this product, we are unable to provide an exact weight.